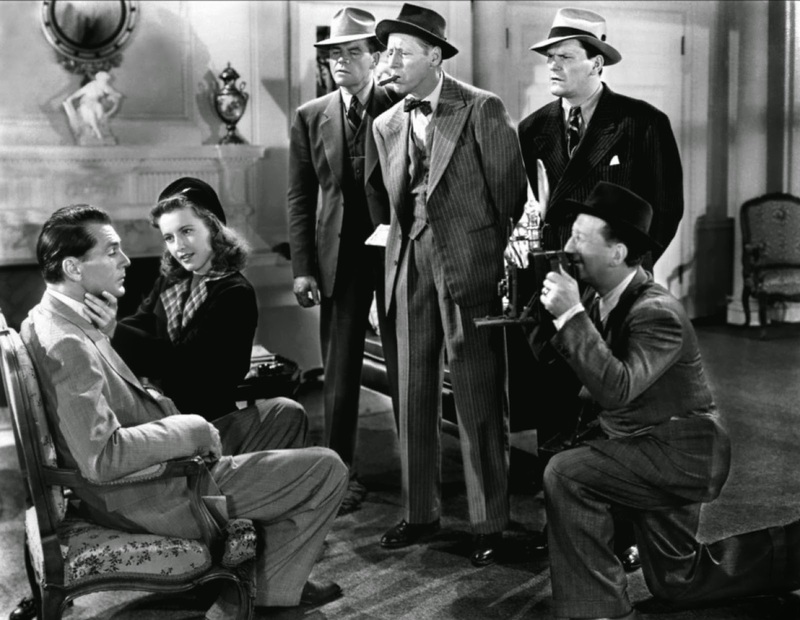 Directed by Frank Capra, Meet John Doe is a feel-good story about populism, politics and pretense. The film is easy to enjoy, but lacks depth and sophistication. Sassy newspaper columnist Ann Mitchell (Barbara Stanwyck) loses her job when the struggling daily paper is sold to tycoon publisher D. B. Norton (Edward Arnold). In her final column she writes about a letter she received from "John Doe" stating his intention to commit suicide on Christmas Eve, because he can't find a job and the world has become a grim place where people don't care about each other. John Doe and his letter are entirely manufactured by Ann. The published column is taken seriously and causes a political firestorm. Ann is re-hired to write a series of John Doe columns, outlining the source of his anger and creating a manifesto for a better society. 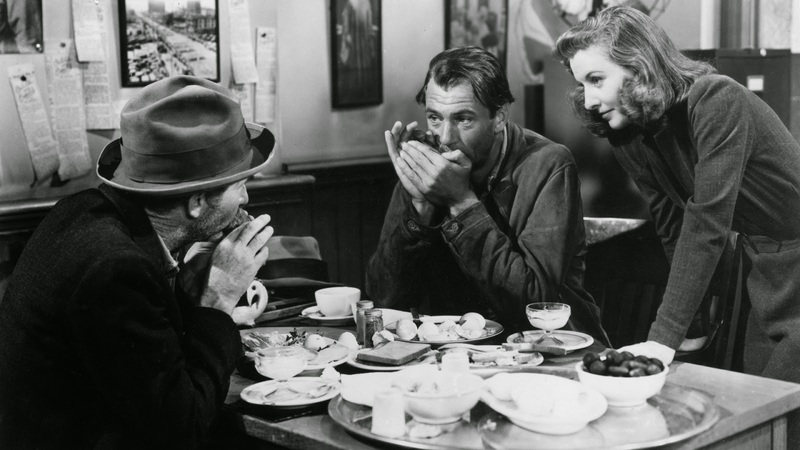 Vagabond "Long" John Willoughby (Gary Cooper) is hired to pretend to be John Doe, with his every word scripted by Ann, who uses her deceased father's diary for inspiration. Willoughby's caustic travelling companion "The Colonel" (Walter Brennan) hangs around to witness the deception. Willoughby plays along with Ann's every request, hoping to make enough money to fix a bum elbow and take another shot at a baseball career. The John Doe political phenomenon takes off across the country in the form of organized clubs promoting good neighbourliness and citizens looking out for each other. But Norton and his backroom backers harbour secret intentions of hijacking the John Doe movement as a springboard for a presidential election campaign, leaving Willoughby and Ann to struggle with the consequences of their actions. Meet John Doe easily achieves it's objective of satirizing simplistic political messages, celebrating each individual and the power of neighbourliness while exposing the corrupt puppet masters behind every curtain. It's a simple slice of Americana effectively presented with Capra's typical charm. The plight of the average guy is once again placed front and centre as a gateway to a broader societal lesson, with simple solutions to complex problems easily devoured by the masses, a phenomenon that ironically reverberated in the real USA under the Tea Party banner 65 years later. But the film itself stays on the same elementary plane occupied by its own message, and veers towards the simplistic. Capra and screenwriter Robert Riskin cannot quite find the dose of magic needed to elevate the themes and emotions towards something greater than the sum of the most basic ideas, and the film plateaus early and plays itself out with a combination of predictability and mild amusement. Several scenes run much longer than they need to, from The Colonel's rant about "heelots" (hordes of heels in search of money) to the endless Bert Hanson story about forming the first John Doe club. The film seems unable to make a point without resorting to an overabundance of tiresome talk. It's never quite bland, but the absence of any true spark, wit, threat or sharp edge gives John Doe and his adventure a free pass towards a contrived ending that fails to resonate. Gary Cooper is fine in a role that would have better belonged to James Stewart, but Cooper does all that he can with it. Long John Willoughby is the ultimate reluctant hero, and Cooper sheds any semblance of confidence and dives into the character's sideswiped puzzlement over sudden wealth, fame and influence. Any energy enjoyed by the film is provided by Barbara Stanwyck as Ann Mitchell. She enlivens the first half, but her character is subsequently tamed and takes a back seat as the Jon Doe phenomenon sweeps the nation and Long John' mounting dilemma becomes the centre of attention. Not unexpectedly Ann falls in love with Long John, but only because the script demands it, and the film waves from afar at the notion of a romance without genuinely engaging in the concept. John Doe's story ends at the top of a building on Christmas Eve, the movie turns suddenly towards religion to find a quick exit, and an imperfect man again understands his value. It's all delivered with the best of intentions, and it's all just a bit twee.